Many of us – students, researches, faculty, staff, even VPs – would like to get quick feedback on startup-like ideas we have or to learn who is doing what in our small community or if we could join any of teams or find a mentor or… do all of that J Thus, Startup Club organizes Open Mic Night! 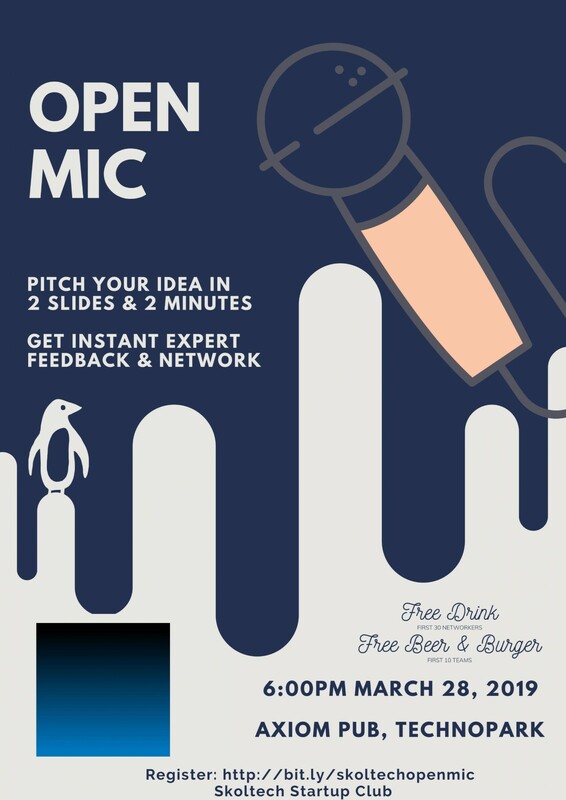 Open Mic event offers safe environment where anyone with startup-like idea can come and get the opportunity to share her/his ideas and receive instant feedback. Each presenting team will get 2 minutes to pitch the idea and 2 slides to outline the most important elements. After the presentation ends, a team will get quick friendly and constructive feedback. To provide high value feedback for participants, we are lining up a team of experienced entrepreneurs, investors and business people, spanning across multiple sectors to serve as the feedback jury and participate in this great networking event. After all teams end with presentations, jury members and all interested visitors will get opportunity to approach teams and talk in depth with them over beer in relaxed atmosphere.